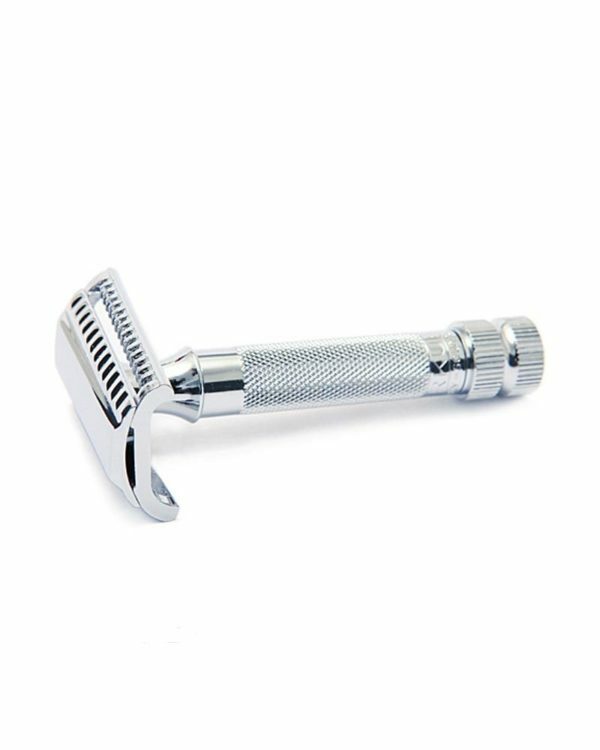 Classic safety razor for a particularly strong or thick beard. It has a slight twist to stiffen the blade. The result is an exceptionally close shave. A safety razor is mainly for shaving experts with a thick beard and is not recommended for a sensitive skin. With manufacturing products of DOVO you acquire true craftsmanship made ​​in Germany. Already in the development subject to each step a precise quality testing through the grinder instead of just a final check on the finished product . Through sophisticated production techniques and decades of experience of material consumption is low . This also applies to the packaging.